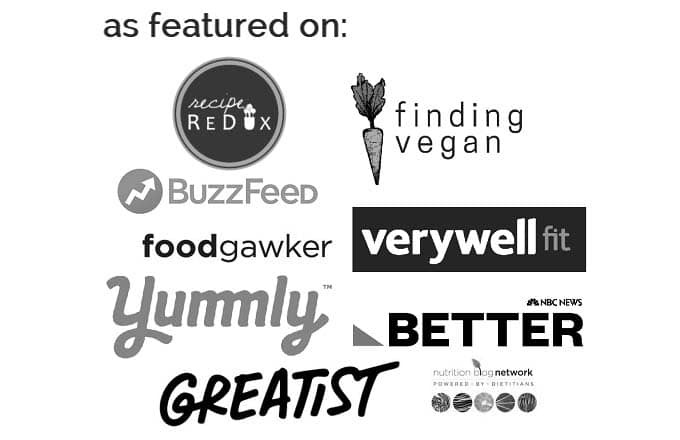 Calling all vegan cream cheese lovers out there! Does anyone else just really like creamy spreads? A cracker or piece of toast just isn’t the same without the extra layer of flavor. 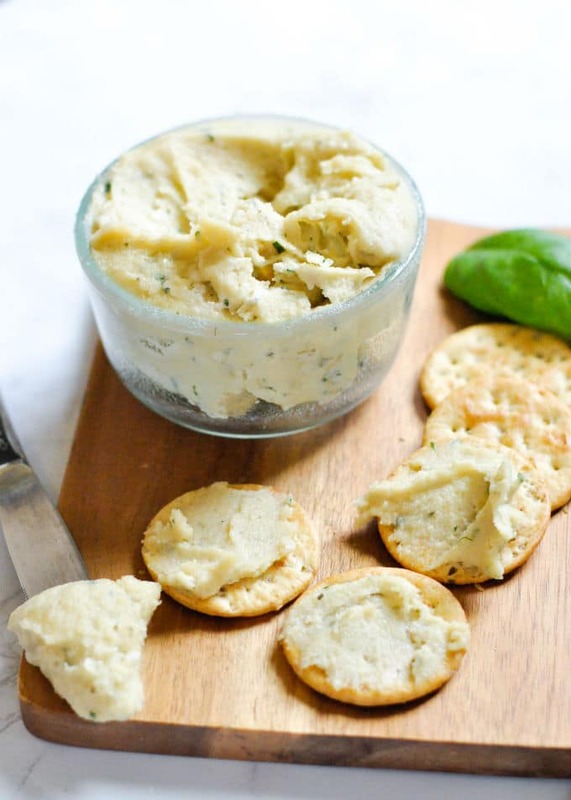 That’s where vegan cashew cream cheese with herbs comes into the picture. It’s hard for me to eat a single food item on it’s own. As in, I have to eat an apple with peanut butter. Or a carrot with hummus. Chips with dip. Toast with jam. 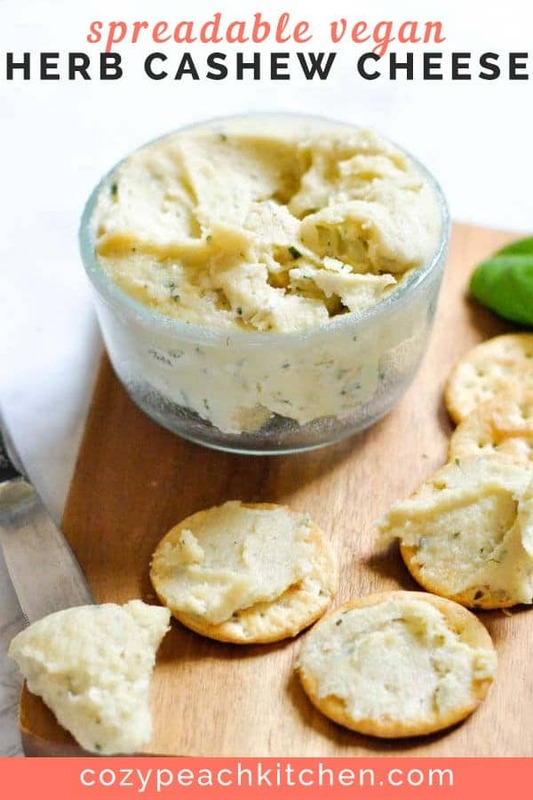 Crackers with cashew cream cheese. You get the picture. 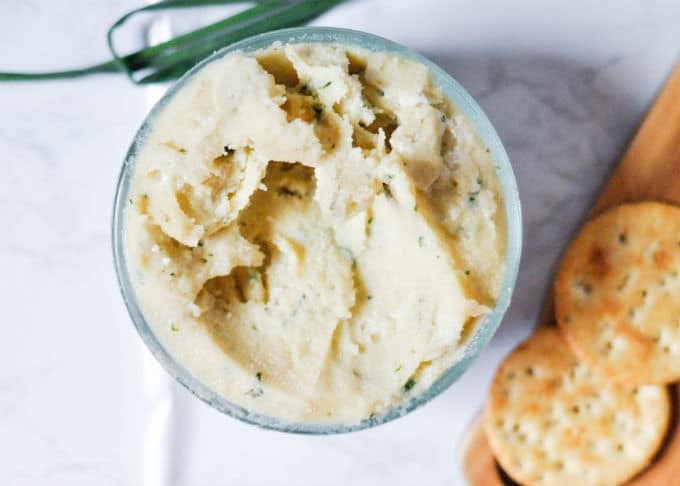 I’m not the biggest fan of store-bought vegan cream cheese, so I knew there had to be a homemade alternative. I’ve tried a few recipes online, but in true Cozy Peach fashion, I had to make my own. Tangy lemon juice and apple cider vinegar really accentuates the herb flavors. As much as I love fresh herbs, I realize that it’s not always budget friendly to purchase fresh herbs. I used a combination of dry herbs (thyme, oregano) and fresh (rosemary, basil) in this recipe. I have a basil plant (the gift that keeps on giving!) and my neighbors have ample rosemary bushes, so it makes sense for me to use fresh herbs. If you’re not able to get all fresh herbs, dry will be just fine. 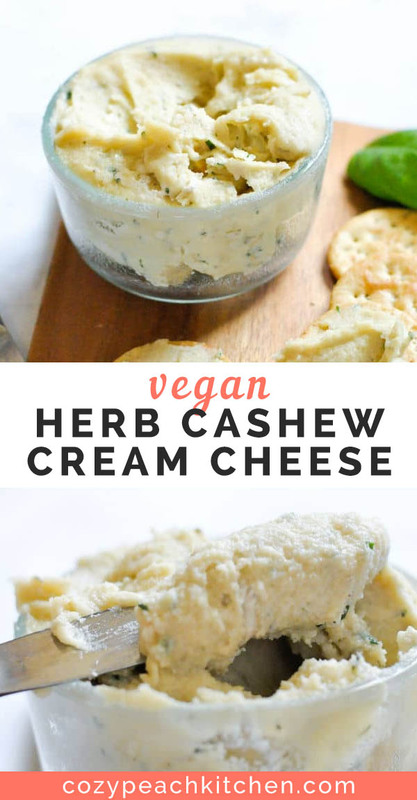 Homemade vegan cashew cream cheese is easy to make! 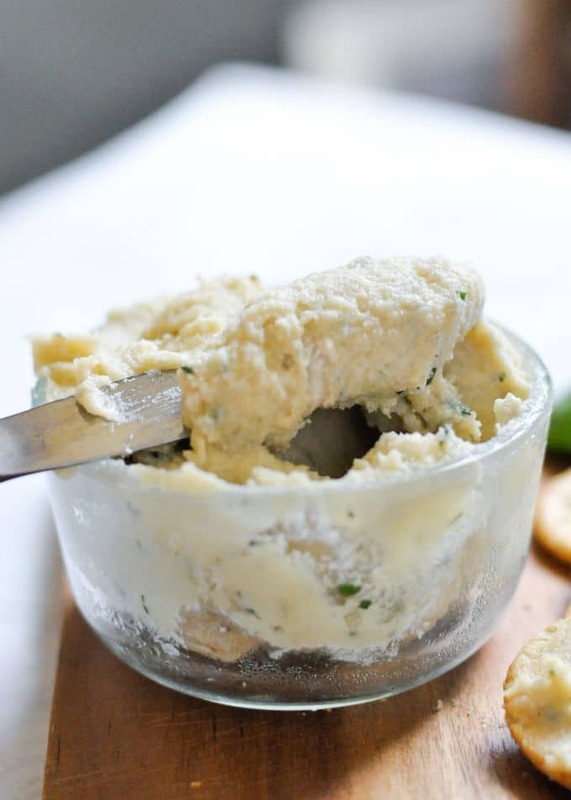 Cashews make a great cream cheese base because they break down to a soft and smooth texture after being blended for 1-2 minutes. I use my trusty food processor (for everything), but if you have a high powered blender you’ll be set. If you have a not-so-high powered blender, just soak your cashews in hot water for about an hour prior to making the cream cheese. This recipe is really as easy as blend, blend, blend. Spread. Eat. Enjoy! 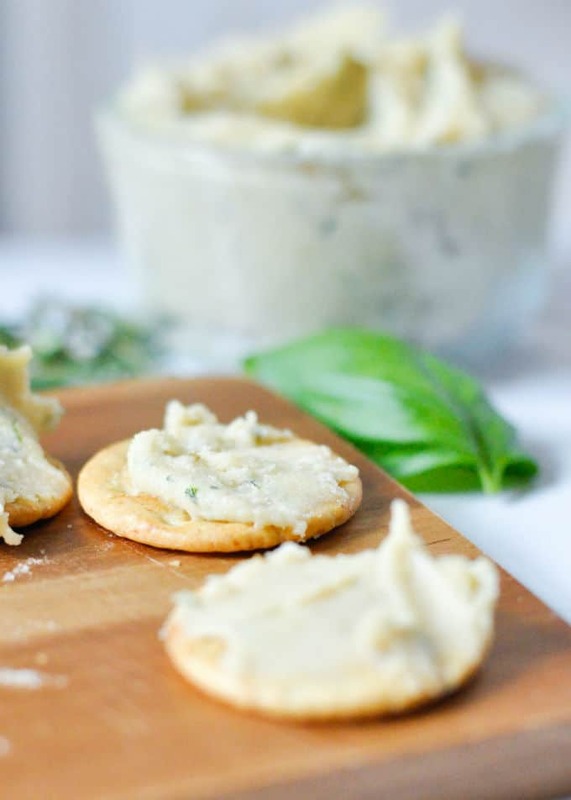 Try your herbed cream cheese with these Vegan Cucumber Tea Sandwiches, spread on whole wheat crackers, or use for veggie dipping. 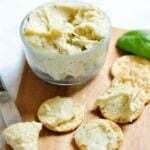 Creamy and tangy vegan cream cheese loaded with flavorful herbs. If using a low powered blender, soak cashews in hot water for at least an hour. Rinse and drain soaked cashews. Combine all ingredients in a blender or food processor. Start with just 1 and 1/2 tablespoons of lemon juice. Blend mixture until it is a spreadable consistency. It should be spreadable, but not so thick that it can be cut in half. Add remaining lemon juice to thin the cream cheese, if needed. Store refrigerated in airtight container for up to one week. *Fresh or dry herbs can be used in this recipe.